The ARTS101 Project matches young artists with established professional artists who are willing to provide mentorship over a six month period. Mentorship is an age-old model of community support, where a more experienced person will formally encourage and provide guidance for career development to individuals who seek to develop, enrich and/or enhance their professional lives. In this project, youth are expected to meet with their designated mentor weekly to develop their identity as an artist, expand their skills in their chosen medium, increase exposure to other ways of artistic expression, gain an understanding of the arts community, and explore the realities of choosing the arts as a career. Exhibits will be held periodically, organized by the Contemporary Art Gallery. 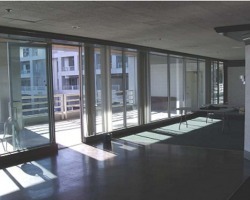 ARTS101 has a dedicated Studio, currently at 750 Plaza of Nations. The studio is spacious and accessible, a short walk down from Stadium skytrain station. There is a Studio Coordinator scheduled for occasional on-site support and supervision.